At the height of their power in the ninth and tenth centuries, the Vikings seemed invincible- conquering well-armed warriors whose ships were the ultimate in seafaring technology. From island bases near the deltas of major rivers, they used the waterways to scour the countryside, looting and burning towns, plundering merchant shipments, and stripping churches and monasteries of their gold, silver, and jeweled treasures. The Norsemen eventually penetrated all of England and Scotland, founded cities in Ireland, gained a powerful province in France, controlled Frisia and the modern Netherlands, and raided lands around Spain, passing into the Mediterranean to attack Italy and North Africa. They established the first Russian kingdom, challenged Constantinople, and provided a personal guard for the Byzantine emperor. They settled Iceland, where they developed Europe's first republic, founded two colonies on Greenland, and explored parts of North America five centuries before Christopher Columbus landed in the Americas. Then, like the abrupt end of a summer thunderstorm, their adventures ceased. 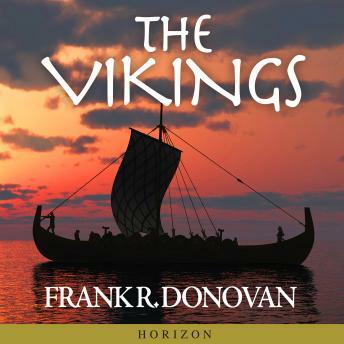 If you are interested in the influence of the Vikings on medieval Europe brace yourself for a series of gruesome details and wonder at their courage and audaciousness to conquer and eventually rule.